The roots are about an inch long at the moment. 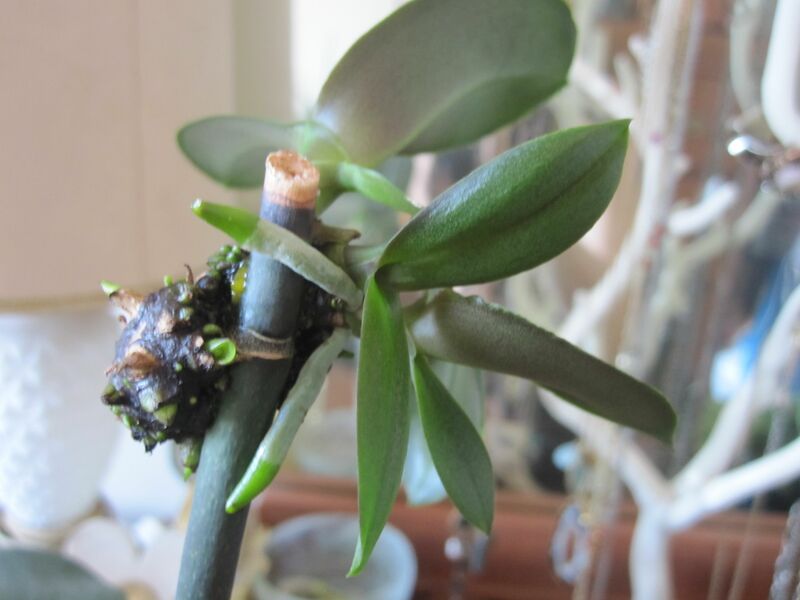 What I’ve read online is that you should wait till there are two or three roots at least two inches long before you remove a keiki from the mother plant and pot it on its own. So I’m just gonna let these guys hang out and develop for awhile. 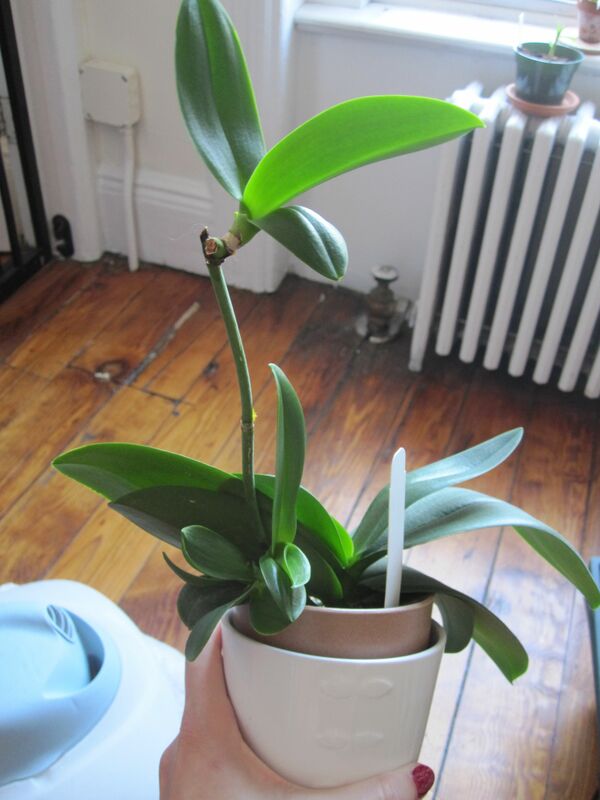 A second Phal that I treated with Keiki Grow Paste is doing pretty well too. 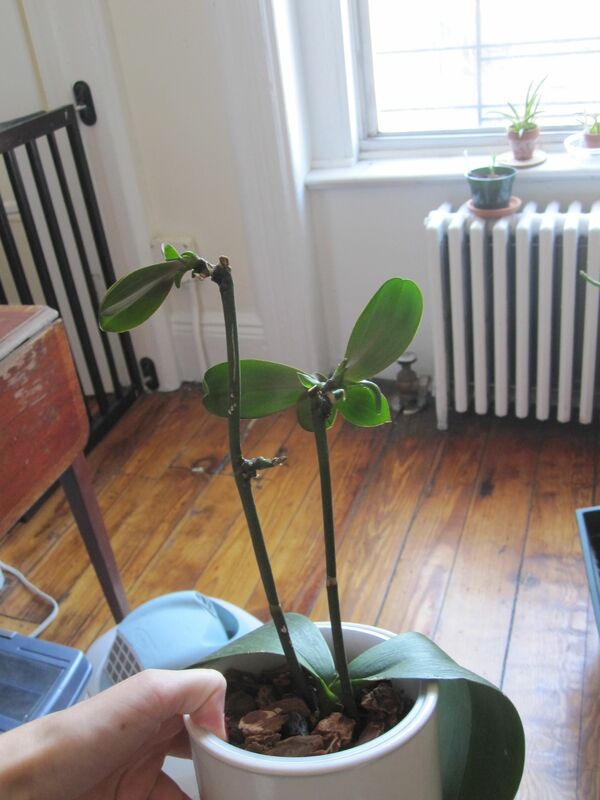 This plant has two spikes and I treated both of them. There you have it. I’m pretty happy with the way this experiment is going so far. I’ve had some luck but I wouldn’t say it’s been a raging success. The true test will come when I’m (hopefully) able to pot the keikis on their own and nurture those babies into full grown bloomers. I will admit that I got a little nervous about Hurricane Irene last week, seeing as it was barreling toward NYC and I live in one of the evacuation zones (Zone C). Fortunately we didn’t have to evacuate, and the storm wasn’t nearly as bad here as it could have been. I was worried that we’d get all kinda of debris smashing through the windows and destroying my orchid room, but nothing happened. And my orchids live on. 🙂 I hope all of you out there were untouched by the hurricane and that you are safe and sound! Amazing keikis! Do you mist them or just water the mother plant? I mist them every other day or so. They seem to be doing just fine so far with the mother watering and a spritz every now and then. Where did you buy the keikigrow plus? 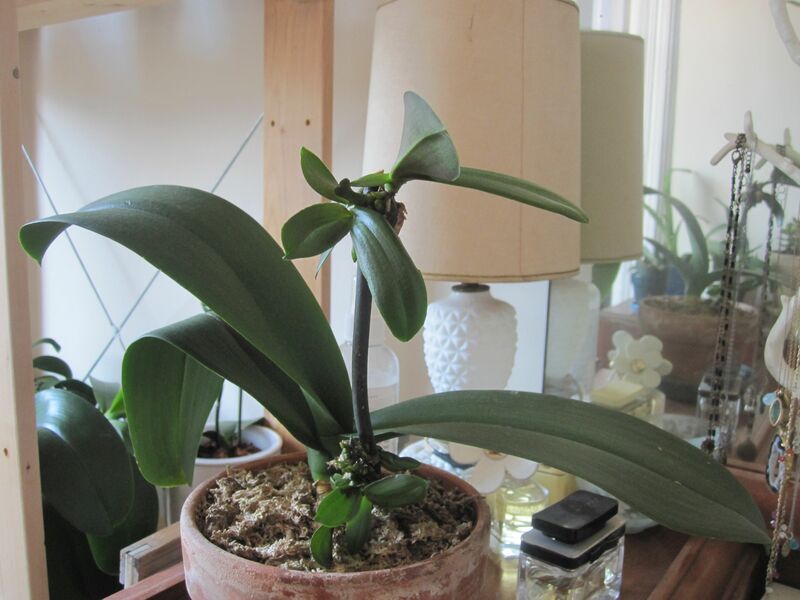 I’ve googled and found plenty of info on orchidforums, but no vendors.. This is fabulous and I’d like to give it a try. I’ve already started shopping around for some Keiki Grow Paste but it’s awfully expensive at $27.95 on the Amazon.com site. I wonder if their are some homemade remedies that would or could work just as well. Can you think of any? I found your keiki growth experiment very interesting. 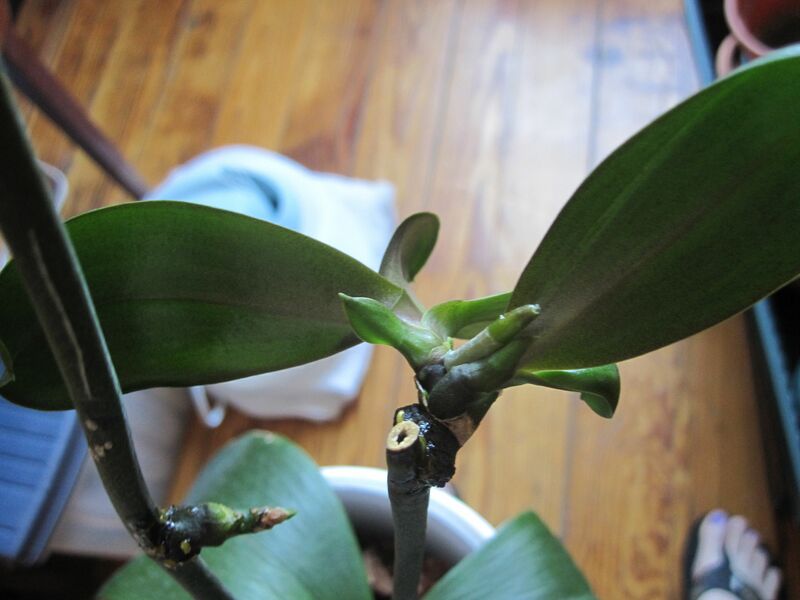 I believe that I have a keiki growth on one of my orchids, but I am not sure. Is there an email address that I could send some of the pics of the growth to verify? Sure! You can email brooklynorchids [at] gmail [dot] come and I will take a look. Thanks!